Use the form widget for instant Lead generation. You can create Forms for anything from appointment setting to event registration to a quote request. Simply enter a few fields your user should fill out. You can even set one-click Facebook validations for email and phone number. Then track your Form conversion rates in Form Reports and optimize. 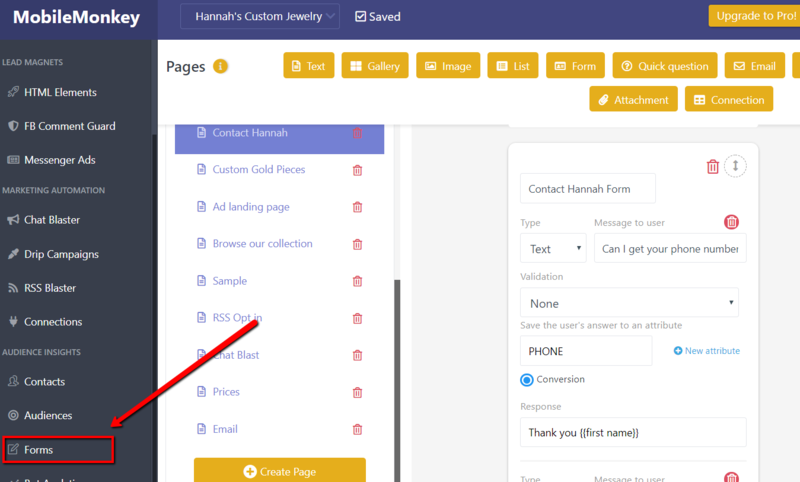 Lead capture has never been easier for you or your clients! Select the Forms Widget from the widget menu in the Bot Builder. Forms send out a sequential series of questions to visitors to collect Lead data. The Conversion option dictates the point in the form that you consider your Lead converted. For example, this could be the last question on the Form Widget but it doesn't need to be. You decide. 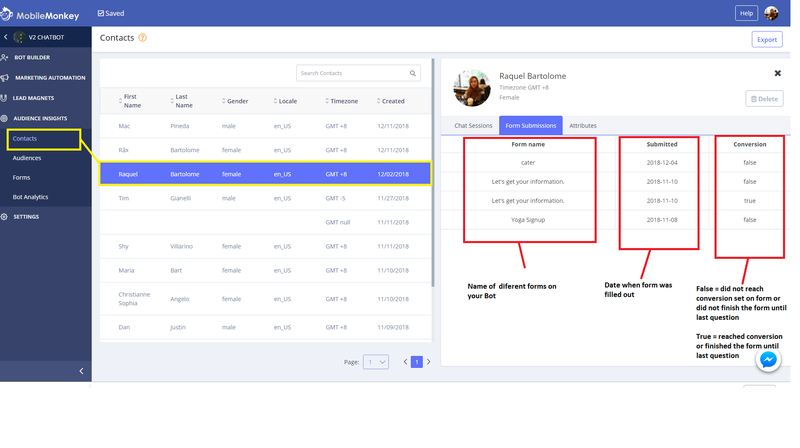 You can then check the Form Reports to view conversion rates of users who Users who encounter your Forms during chat sessions. 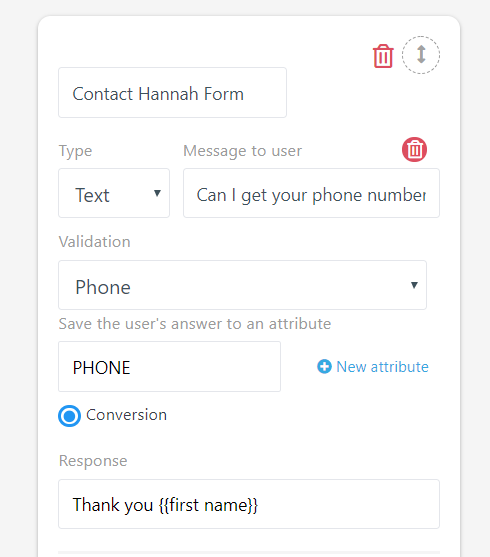 View Conversion rates of your Forms and optimize.